AcornVac has been designing, engineering, manufacturing, and marketing vacuum plumbing systems since 1990. Our years of experience have resulted in the creation of the most advanced vacuum plumbing systems on the market today. The AcornVac R&D team ensures that we stay at the cutting edge of vacuum technology with both products and design. Our expertise is in designing and supplying the right vacuum plumbing system for the application at hand. With installations domestically and internationally, AcornVac’s design engineers, installers, and project managers have been involved in a large variety of projects, each with different types of environmental and engineering challenges. Our team enthusiastically approaches these challenges, using vacuum plumbing systems to create solutions in many situations where traditional gravity plumbing is not feasible. Every project is unique. We routinely provide budgetary estimates and project review at no cost. We also provide other educational services including seminars, factory and project tours, and continuing education courses. We deliver technical and engineering support during this critical phase of every project – including design review and coordination with the project team. With decades of experience involving a wide range of project types, we have the experience to offer assistance in system sizing, piping layout and development of project specification and installation details. Proper installation is one of the most important factors in efficient operation of the system. 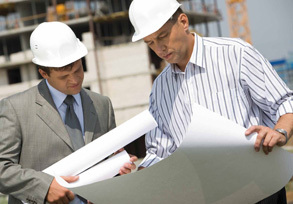 We provide comprehensive training for the installing contractor before construction begins. We’re on-site during construction to provide inspection of the installation, ensuring correction of any installation irregularities. We also provide on-site assistance with system start up and commissioning, helping to ensure a fully functional and efficient installation. 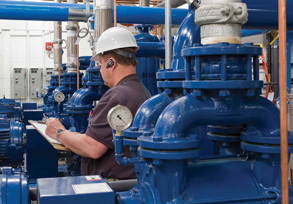 We offer on-site training for facility maintenance staff, including a complete overview of the dynamics of the vacuum system, and comprehensive training in basic maintenance and troubleshooting. AcornVac currently provides after installation services and support to over 2500 installations.